Something occurred to me the other day as I shared a YouTube video on my Mastodon profile. The Fediverse as a concept does not really have a distinctive brand that faces the consumer, and that is a potential problem as the network develops and grows. By definition, the Fediverse is a network of services that all interact with each other through common protocols. It's part of what makes the concept so wonderful; users are not tied or locked into a single service and all the problems those have. This landscape approach mirrors reality, and reflects the unique aspects of human life that homogeneous services like Facebook ignore. The Fediverse doesn't have it's own branding because it delegates that to individual protocols and services. Mastodon and Pleroma are both distinct brands and do a fine job of attracting users on their own. Hubzilla and other services are similar. The compatibility of protocols ensures that their respective users can interact without ever knowing which services they're on. Variety comes at a price however. The sheer breadth of choice on offer can be overwhelming for new and unfamiliar users. Once within the system it becomes less of an issue (except if one wants to talk about features) but unless there is some familiarity with the fediverse the its nature, there's a risk new users will feel overwhelmed and simply retreat to the closed-source silos. Mastodon attempts to overcome this 'overwhelming' issue with its Join Mastodon page where users can find an instance that best suits their interests. Such a service helps usher new users into the system and guides their first foray into an entirely new universe for them. Mastodon's brand is pretty strong and as a brand, it forms a shortcut for users and non-users alike who want to use, discuss, or share information of the service. The Fediverse doesn't have that kind of trait and arguably doesn't need it. However, I would posit that while the concept of the Fediverse does not need branding, the service of the Fediverse does. These four words ought to be familiar to you; as should 'Follow me on Twitter'. They're more than invitations, they're invocations. 'You should really connect with me on Facebook if you're not a member, and if you are, you can find me there and we'll do awesome things together' is what those words really say. Such a concept is critical to both the brand and service of Facebook because it not only helps grow the userbase, it also helps reinforce its relevance to user's lives. Of course Facebook's motives are purely commercial with the ultimate goal of extracting revenue and data from users, but the Fediverse could benefit from the idea too. Right now, there is no cohesive manner in which members of the Fediverse can advertise their participation. I know this is partly because many existing tools don't cater towards federated services, and that it's only a matter of time until they do. Yet my own issue highlighted a need for something like the 'Follow me on Facebook' call to arms where people could see where or how extensive my presence in the Fediverse is. What form this would take I do not know. It could be as simple as a link to a single profile, or it could go to a page where a user's presence across all services is listed. It would likely need to be flexible enough to cater to both extremes. Either way, it would have to achieve the goal of conveying to people outside the Fediverse that they can follow and interact with someone by signing up for, or following them on one or a range of services. What would be necessary regardless is some form of badge that serves as a consistent identity for the Fediverse across the web. Such a badge would serve to advertise the Fediverse 'brand' and provide a visual beacon for people to recognise. If something like this were implemented, it would provide a good way to not only increase awareness of the Fediverse, but also to encourage new members to join. I finally got around to installing LineageOS on my Oneplus One and the difference is amazing. Not only does it run perfectly fine, it's nice to be rid of more than a few useless Google apps that took up space. Most shocking is perhaps the fact that a four year old mobile device can run the latest software without issue! To say I've gotten my money's worth is an understatement! Sometimes my job is kinda interesting and cool! From the archives: Android is open—except for all the good parts. I remember when the original article was posted and how obvious it seemed at the time. Little did I know how much worse it would get; what with Google Assistant, etc. This is Wintel all over again, but on mobile platforms. Crossing my fingers that Sailfish OS 3.0 is much easier to port to new devices. An alternative to iOS and Android distros would be welcome. On a scale of 1-10, how difficult is it to implement a hub for someone with only a basic knowledge of coding. 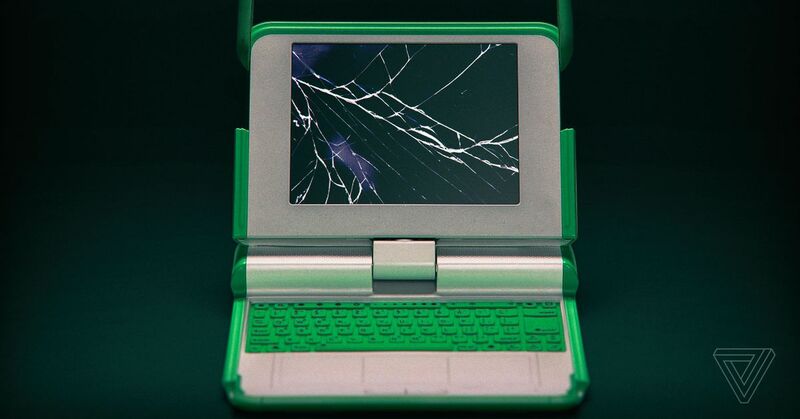 Is it necessary to get stuck into manually altering config files, or is it more a matter of troubleshooting errors? Just curious because I have a plan to create a hub and am curious how much legwork I need to do before I can safely tackle it. Try them,you will get hold of all the settings in few hours next day you will be able to do on a fresh server. @Anmol Sharma has done good work on the YunoHost app for Hubzilla, but I would not agree that it is a 1 out of 10. Something like PrivateBin is a 1 out of 10. You install it and basically forget it after some simple configuration. While I have not needed to manually hack code to keep Hubzilla operational on my server, Hubzilla is a complex system that changes fairly quickly. When things break or you have questions, there is not a huge support community to help troubleshoot. The few that do help are earnest and generous with their time, but you will definitely be more self-reliant to troubleshoot, and that requires a certain level of expertise. Personally I have found it an excellent way to learn admin skills, among other things, but that is because I enjoy spending time on it. My advice is to be bold and try it out! But only slowly increase your dependence on it in proportion to your capabilities as an administrator. I'm considering starting a FOSS social instance for a niche interest. Right now I think Mastodon might be the best fit as it fulfils a role that another proprietary company covers in a fairly straightforward manner and would have a gentle learning curve for new users. If everything were to work out ideally, such a social ecosystem could grow to include Hubzilla as an extension building upon simple profiles and statuses. This got me thinking and wondering if FOSS platforms like #Hubzilla and #Mastodon have greater potential serving niche or special interests instead of the public at large? I think it certainly could more easily gain traction in such instances which is why I'm considering undertaking the effort. PS. The fact that one person can get multiple(!) social networks up and running on their own is one the truly amazing things that the future we live in is providing. This is the same or at least similar reasoning to what we went through a few years ago when we rebranded RedMatrix as Hubzilla. The idea is that your social/communications network doesn't have to be one giant platform that engulfs everyone. Instead, individuals and organizations can run their own independent websites like they have since the beginning of the web as we know it, but with a revolutionary improvement: these independent websites can seamlessly authenticate each others' members and provide access control without sacrificing their independence. If enough "niche interest groups" adopted this system for their own purposes, they would start to see the advantages when they started interacting with people on other servers in other organizations, or when they left one niche interest to join another group and find that they can take their identity with them. Eventually, the "public at large" would even start to get it, kind of like how they eventually learned the utility of email, or visiting websites to get information. That's true. Arguably what Facebook did was combining the functions that a lot of separate websites offered at the time and rolled them into a single service; redefining the web for the public masses. My hunch is that people are becoming more likely to pay small amounts for similar types of services which are free of advetising, and that's where FOSS platforms like Hubzilla could be at an advantage. Switching.social actually is how I discovered OsmAnd and can now finally ditch Google Maps. In case you need a handy resource to point people who wish to leave the $ilicon Valley walled garden, this website is not only user-freindly, bus also has great #FOSS suggestions. What's a few cool things the novice can do with their server besides a personal cloud and media hosting? Ive run Hubzilla on mine in the past. Currently, it runs an XMPP server, Matrix server, and Baikal (Cal/Card DAV server). Cool! I'm gradually learning about all the things that servers can do since their purpose is to run 24/7 and provide data on demand. Data backup is another useful one, if you aren't including that in "personal cloud". One of the simplest backup solutions is Syncthing (one of its many use cases). Yes, after a decade of rolling the dice, I implemented #Nextcloud as a backup for my mobile device instead of Google's services. I'll check Syncthing out though. Thanks! To me, the Sugar OS seems like the worst part of this whole affair; it made it seem like a toy or a joke. If it was running a standard Linux desktop, and Sugar was just a Qt or GTK application I think it would have been better received. It's also really painful to see them talking about the limited capabilities of the hardware in one paragraph, and then saying that they made Sugar into a web-app in another paragraph. 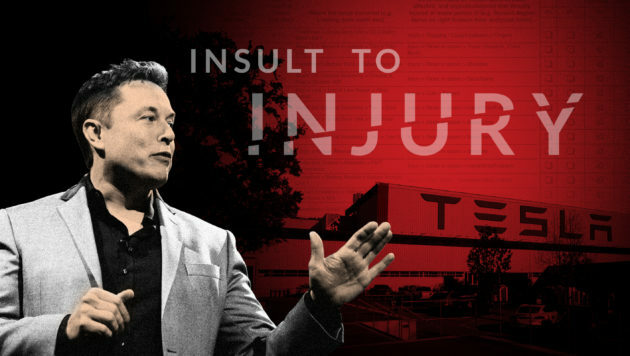 And in addition to yellow, Musk was said to dislike too many signs in the factory and the warning beeps forklifts make when backing up, former team members said. His preferences, they said, were well known and led to cutting back on those standard safety signals. This is an example of the dark side of tech; putting advancement above the benefit to people. I've been exclusively using #Linux at home for over ten years! Wow, time flies when you're having fun, eh? This was pretty awesome to watch! I tooted on #Mastodon the other day about Ning. The service was/is a 'white label' social network platform that lots of people used to build their own social sites for anything and everything. Something that I've been thinking of in recent days is about the economics of FOSS projects. The #Mastodon instance mastodon.cloud is having some severe service disruption issues that seem to stem from its hosting service more than anything else, but the episode serves to underline the fragility of the service. It relies on pretty much just one admin who's running things in his spare time and he's clearly not able to do so for an instance with tens of thousands of users. What makes me wonder though is the fact that financial help from users like me wouldn't necessarily solve their problems, which in this case, appear to be technical. As FOSS software begins to transform into providing SaaS in addition to traditional roles, the issue of how projects' implementation are funded and maintained will become a more prominent issue. It's one thing to fund a developer to write code, but its entirely different to fund infrastructure on an ongoing basis. The latter cannot have time and effort donated to it on an ad hoc basis as easily as code can. There is a need for a consistent human presence that keeps everything running smoothly. This is one area where proprietary closed source software (and very large open source) companies have an advantage in that they can simply assign employees to perform the necessary roles. Most FOSS aren't quite so lucky and indeed, often have a single individual simultaneously running the project and its implementation. The skills and abilities needed to actually run something are quite different from building something, and I'd hazard a guess that many future FOSS projects will run into dilemmas as their success becomes entirely dependent on a successful popular implementation. Patreon and Librepay are great tools, but are not entirely ideal for addressing the problems outlined above. What would be useful is a standardised way of providing users (and therefore backers) with a detailed breakdown of a project's needs at any given time. If server costs are an issue, there could be a meter for that. If admin help is an issue, there could be a list of acute needs for that, if code help is needed, there are already tools available to assign roles. Reddit's meter of daily server time paid with Reddit Gold subscriptions is a good example, as is Join Diaspora's donation meter. I think more FOSS projects that intend to operate as services should consider similar ideas to provide users with a better understanding of the resources needed to keep the lights on. Most internet users aren't willing or able to host their own and in the absence of an easy way to do so, they will rely on others to do handle toe nitty gritty details for them. Transparency is important, and as we're all aware, knowing what you're getting in return is always desirable, especially if your data and/or privacy isn't part of the bargain. Had to migrate my #Mastodon account.